Whether your budget is high or low, we have a quality preowned car to suit everyone here at Lowton Motor Company Ltd. Our range of Peugeots is particularly impressive and the brand is a very reliable choice. The 108 and 208 models are classic choices, and for something more thrilling, the Peugeot RCZ is made for driving pleasure. 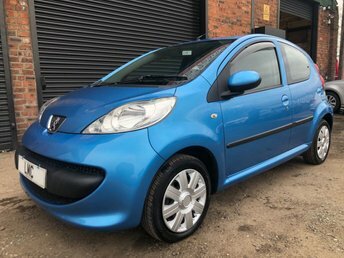 Take a look at the used Peugeot cars and more that we stock at Lowton Motor Company Ltd in Warrington. We are one of the North-West?s leading vehicle specialists with expertise not only in providing vehicles, but servicing them too, so you can feel assured that we will look after you and your vehicle even after your purchase is complete. Get in touch today!